Patrick King, who will be presenting a webinar about Thought Leadership in Construction on Oct. 15, has produced a simple introductory video. You can view it here. He’s undoubtedly a talented designer, but why should you attend this event? The answer is in longer and more thoughtful pieces he has produced on his blog. Here is one that brings the two threads together — where he discusses the eight-second attention span. Seriously, 8 seconds? 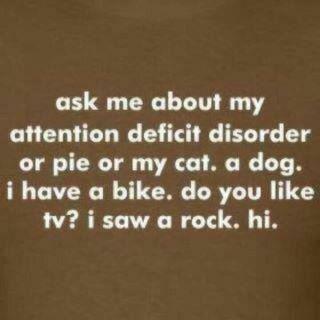 That’s what studies tend to claim as the average attention span of American adults. That’s one second less than the typical goldfish. While that concept alone makes a bold social statement, it also poses an obvious challenge for marketers. How does a company get their brand, message, promotion and contact information over to someone before they check out? The solution: simplify. By removing the unnecessary, brands are able to tell a story, show their company’s personality, even create viral marketing in mere seconds. With sites like Vine (and the new video feature on Instagram), you’re not given a lot of time to play with, so you have to make each second count. And while it’s taking some a bit longer for some to work in six-second time constraints, some seem to have caught on quickly. But after all, this is nothing new. We’ve been condensing our message and creativity since the concept of marketing began. The internet and other easily accessible media only accelerated it. For instance, if your email title doesn’t grab the attention of its recipient, it won’t even be opened. 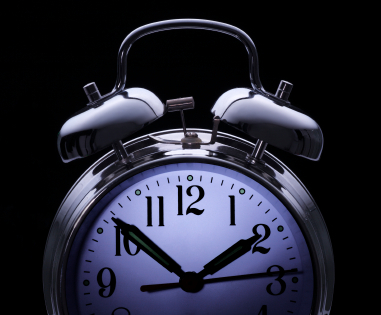 If your website doesn’t hook your visitor within four seconds, they leave. It takes more than four seconds for most people to read 20 words. That’s some serious pressure for designers, marketers and strategists, but the solutions they create have been quite impressive. What else could you be doing to get your message across in lightning speed? Here is the challenge for marketers in our industry. We may need to have a quick-response and first-impression “grab” but I think no one purchasing any kind of skills or services where the unit/ticket price even for the smallest residential project is in the thousands will truly make any decisions or take any action based on an eight-second clip. Yet we need that kind of speed and responsiveness in our messaging. The route to getting this interplay between immediacy and depth right might have answers in my recent experience with Google. Engineers there spend weeks perfecting search options to make the whole process just a bit faster and more reliable, and then test things, and retest them, to make sure the improvements are correct before rolling the changes out systemwide. Small changes can have a big impact (and of course these changes can cause havoc to the legions of search engine optimizers trying to keep their clients in number one spot.) The goal behind all of this research, of course, is to simplify and speed up the process, enhancing the search experience value. But, as I’m fortunate to have discovered, Google also takes a longer-range perspective and recognizes the awe-inducing power of human connection and real interpersonal relationship building. In my case, the company accomplished this mission with an undoubtedly successful three-day international summit. You can bet that my brand loyalty to Google has been cemented and enhanced, as has my underlying understanding of this business’s effective strategies and values. So, yes, think hard and careful about how you can obtain and develop a positive impression in eight seconds. Remember, however, that a little depth can go a long way, especially with clients and suppliers with influence. I think you’ll discover that depth effectiveness during the Oct. 15 event. Please consider attending.